Cardiff Chiropractic Management has been providing successful and effective billing services to chiropractic, acupuncture, physical therapy, and medical providers such as you since 1997. 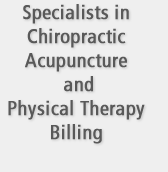 CCM is not a standard billing company; we specialize in chiropractic, acupuncture, and physical therapy billing only. We are a very knowledgeable and reputable billing company with excellent references. We will provide everything you need to assist with all of your billing needs at CARDIFF CHIROPRACTIC MANAGEMENT. Our goals are to increase your revenue immediately, lower your overhead by significantly reducing your office costs such as postage, staff training, forms, and computer upgrades, maximize your reimbursements, expedite the processing of your claims, and reduce or omit denied claims. Our team is focused on providing you expertise, professionalism, and great success to meet all of your billing needs and client satisfaction. 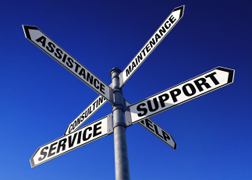 You will have access to all of our staff billing experts for all of your questions, requests, and needs. We will do everything we can to meet your needs and expectations.